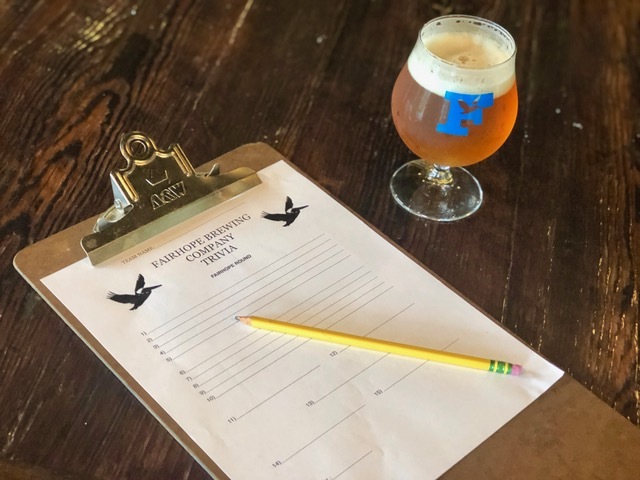 Join us for LIVE TRIVIA in the taproom every Wednesday at 7:15 p.m. Hosted by our own Jim Foley, categories range from history and geography to music and pop culture. As always, we feature 15 handcrafted beers on tap and a food truck every week. This season we are rotating trucks each week between TinTin’s Rock- N-Roll Food Truck and Beechin’ Eats. Be sure to arrive a few minutes early to grab your table and a cold beer before we get started!